Van Matre Construction is an experienced foundation repair specialist that can help you with any structural issue. We have extensive experience conducting residential foundation repairs, and we take each project seriously. Every home has a unique structural problem. Our team ensures that our customized solutions meet your requirements. Trust our foundation repair contractors to restore value and maintain the structural stability of your home. Are you seeing cracks in your drywall? Brick? Foundation? Perhaps your doors and/or windows are sticking? These are some of the indicators we use to assess a foundation repair problem. Most foundation repair problems fall into one of three categories vertical movement, lateral movement, or drainage issues. 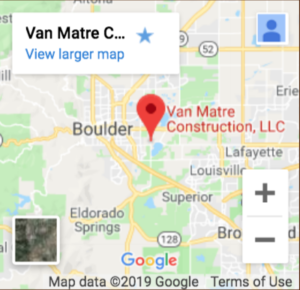 Van Matre Construction is an experienced foundation repair specialist that can help you with foundation repair services for any foundation issue you might encounter. Colorado has a wonderful four season climate and is classified as an alpine desert, which means that we experience fluctuations in rainfall, groundwater levels and snow melt on a seasonal as well as long term basis. The soil around your home in the Denver area absorbs water quite readily. When it does this it expands and then, when the weather drys out, so does the soil, contracting while it does so. These factors put additional stress on your foundation and can lead to movement. This translates into visible indicators such as cracks in walls, floors, ceilings or chimneys, bowing of walls, doors or windows that do not open or close properly or even visibly uneven or sloped floors. 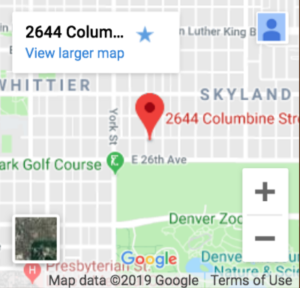 You might be thinking that only older homes can be affected in the Denver area, but a study by Consumer Reports indicates that 15% of brand new homes have serious issues with their foundations. Our experience confirms that foundation problems can affect new and old homes alike and that a decision to permanently resolve these issues is an investment that preserves your home’s value. Interested in planning your next foundation project or knowing how much repairs would cost? Count on us to make your foundation repair work as convenient an experience as possible for you. We repair your walls with high-quality materials and provide outstanding customer services. Helical piers – An easy-to-install foundation repair solution that strengthens homes built on unstable soil. Helical piers are a quick fix that guarantees minimal landscaping disturbance. Carbon fiber repair – A durable, long-term repair product for your foundation. This material resists inward basement wall movement and can withstand a significant amount of weight. Wall anchors – Stabilize your basement walls without costly foundation replacement. Our wall anchors will straighten your foundation while ensuring minimal disturbance to your lawn and interior flooring. Van Matre Construction, LLC has the equipment and professional experience to conduct repairs. Contact us today for a customized solution for your home’s foundation.